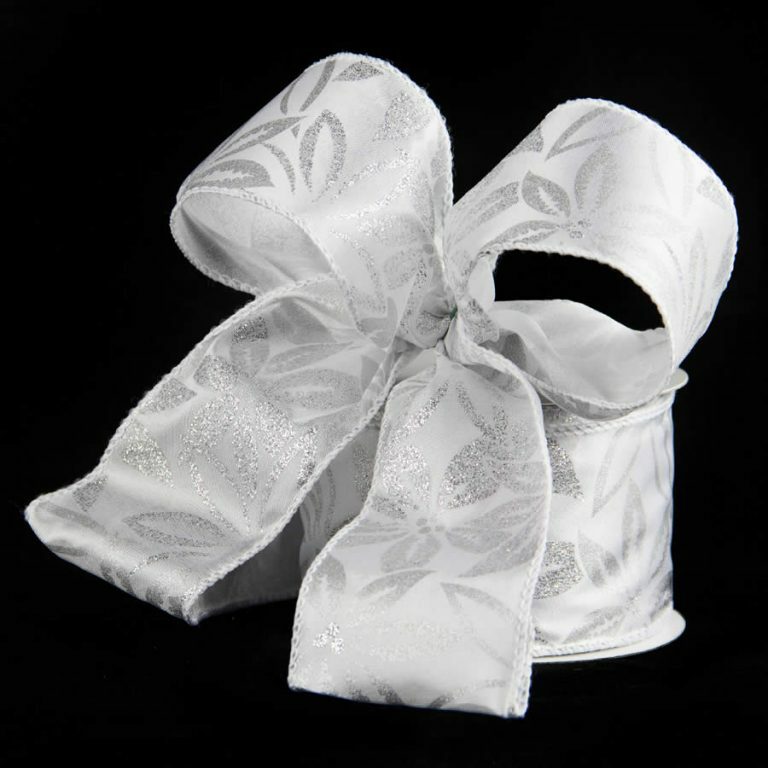 The Ivory Holly Leaf Taffeta Ribbon is 9-metres in length and a whopping 7cm in width. 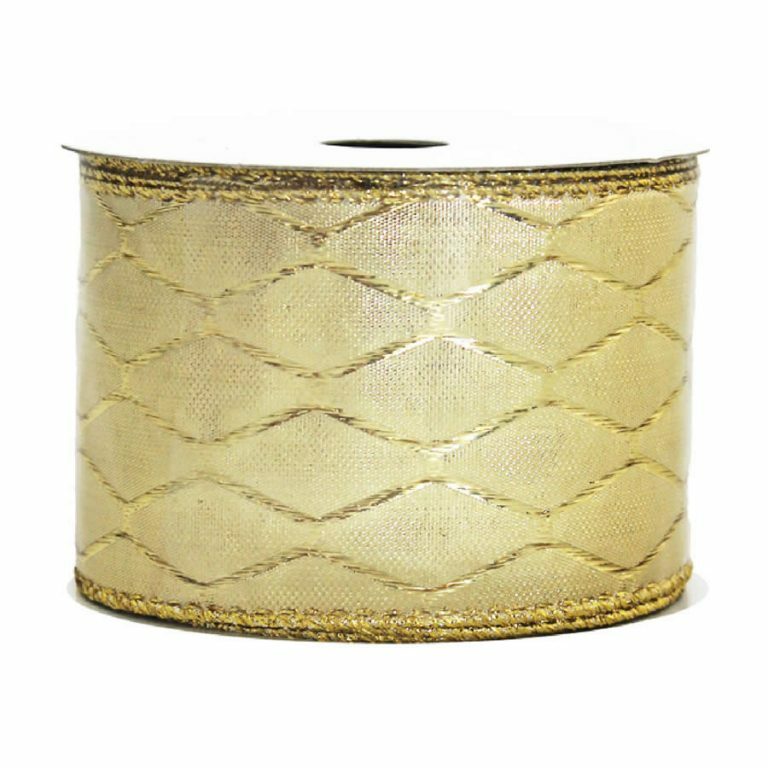 This extra-wide, quality ribbon is the perfect accent for wreaths, bows, packages or your family’s Christmas tree. 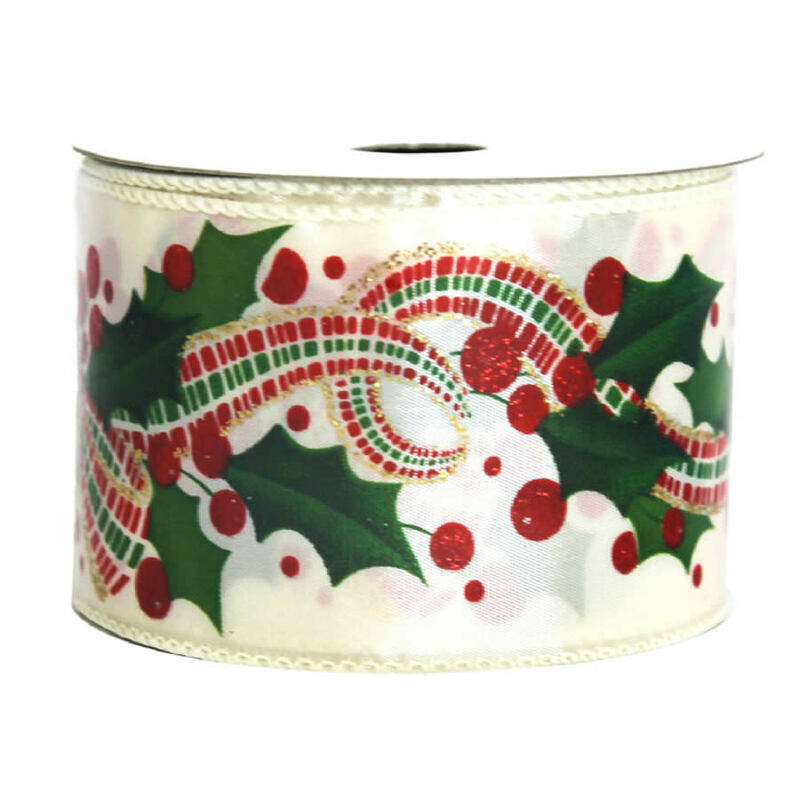 The rich white taffeta background is the perfect way to highlight the rich green holly leaves and plump red berries. 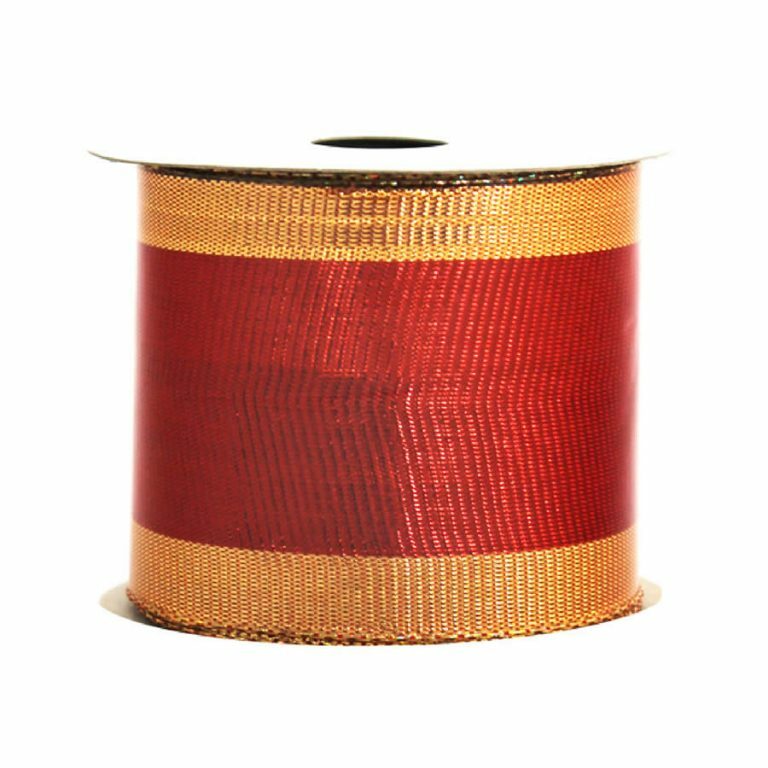 A glittering ribbon of gold, green, and red swirl through the foliage across the ribbon’s facade, creating a luxurious and lovely ribbon for holiday themed projects. 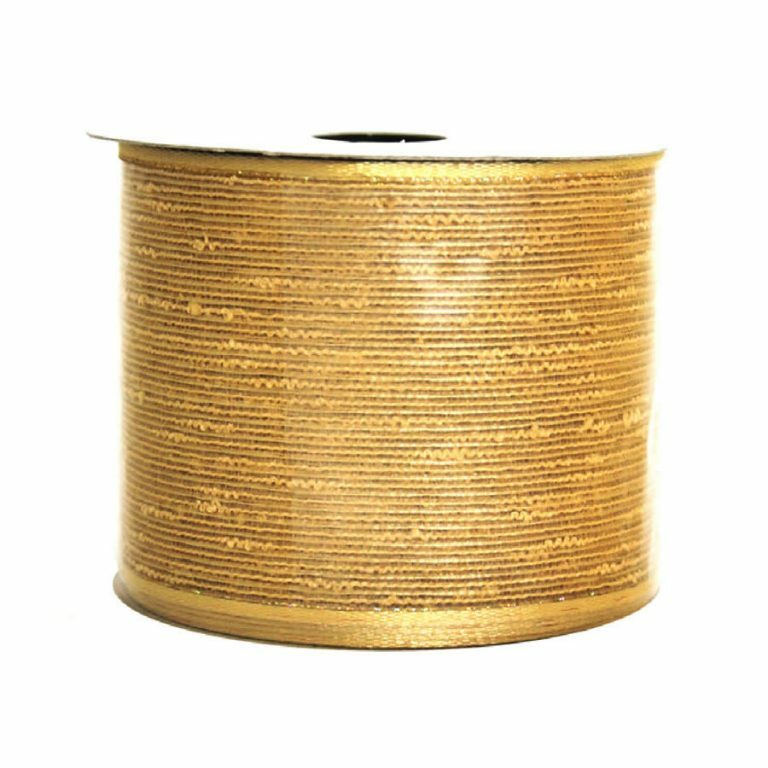 The wire edging of this ribbon sets it apart from lesser-quality products. This allows you to make the fullest bows, which will keep their shape over time or when used. Buy this to decorate the home and try using it to make magnificent bows for wrapped gifts. Friends and family will appreciate the added effort and thought that you put into a handmade bow this holiday season.